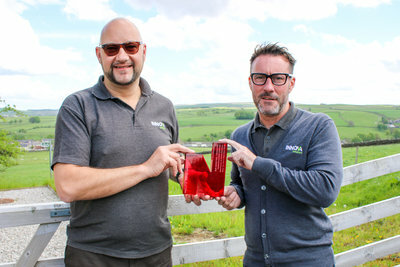 [08/06/17] In the midst of what has been a successful year for Lancashire based adhesives firm, Innova Solutions, they’ve been awarded ‘B2B Marketing/Integrated Communications Campaign’ alongside their marketing agency, 3ManFactory, at the Prolific North Awards 2017 after being shortlisted against some other seriously impressive campaigns. 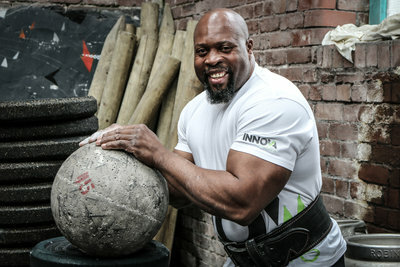 It was their campaign with 11 times World's Strongest Man competitor, Mark Felix, that earned them the recognition from the judges. Their campaign included web, social media, video and PR and they were even joined by Mark Felix at the Sign & Digital UK conference at the NEC in Birmingham in March. They were praised for delivering an exceptionally creative campaign that managed to deliver outstanding results. 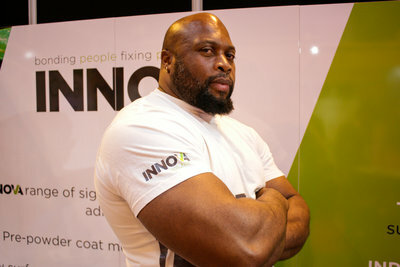 They teamed up with Mark Felix, who is widely regarded as having the strongest grip in the world, in July 2016 to help promote their range of high-strength structural adhesives and bonding tapes. It was a big decision for Innova Solutions to choose somebody outside of the industry to embody their brand and it’s one that’s paid off.